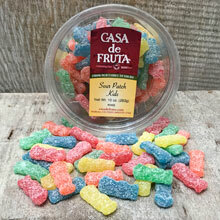 Assorted Sour Patch Kids, a sweet and sour kid-shaped gummi candy. Packaged in a 10 oz. tub.